It is no fun to ban weblins form the toplist. It is no fun to check log files for unfair behavior. It is no fun to reply to complaints. It is no fun to ban accounts because of illegal images. It is no fun to program several hours to fight unfair behavior. We keep Weblin running in our spare time. Sometimes a server is down. Then someone spends several hours to fix it. Sometimes web browsers change and someone must program to make Firefox and IE and Chrome work with Weblin. Sometimes there are attacks on servers from unknown parties and someone has to fight it. 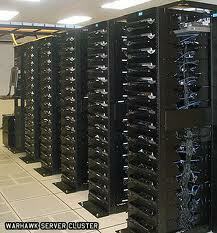 Apart from the fact that running the servers for Weblin costs 150 € each month of our private money. From your point of view, Weblin is just there. You just start it and the weblin appears on the page. But this is not a given. It is much work. Someone watches and gets up at 2 am to fix it, if necessary. It would be nice, if you would not add to this work by doing unfair things and uploading indecent images. It is now one month since relaunch. The number of active Weblins is about 3400. 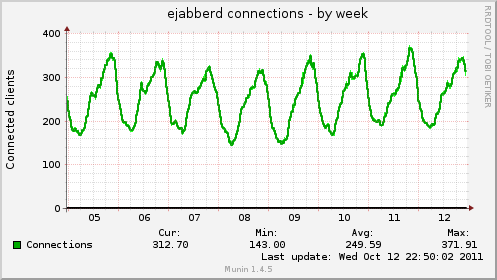 3400 Weblins have been online at least once in the last month. Each week are about 2000 different Weblins online. At most 10% of all "active" Weblins are concurrently online. This number grows slowly every week. 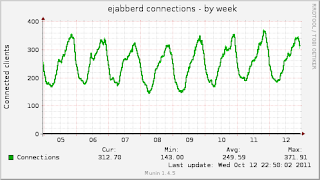 Yesterday (Wednesday) was the highest number since relaunch. 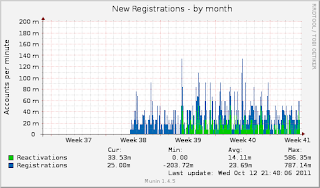 There are new registrations all the time and there are also returning Weblins who reactivate old accounts. Weblins who are concurrently online. The number fluctuates between day and night. We are very much dominated by Europe. The peak is at about 9 pm (UTC+2). But sometimes there are also many Weblins in the Portuguese room on the Weblin home page. I suppose they are from Brasil and make the small bump in the middle of the European night, when it's evening in Brasil. n we start telling former Weblin users, that we are back. The most important indicators for online games. Later Weblin will measured by these numbers. 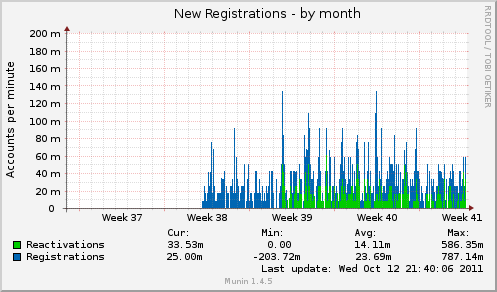 Monthly and weekly unique active users and the number of new users (=Activated). 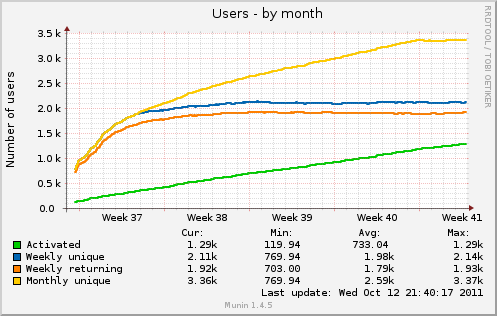 In addition, there is the number of weekly returning users. 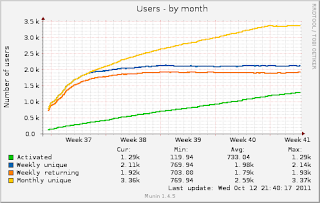 These are the users who do not just try Weblin, but are still using it a week later. The ration is quite good. A possible explanation is, that primarily former Weblin users create new accounts. They know what to expect and do not just try it out.